The photos were taken on May 3, 2013 at 4:01 pm. 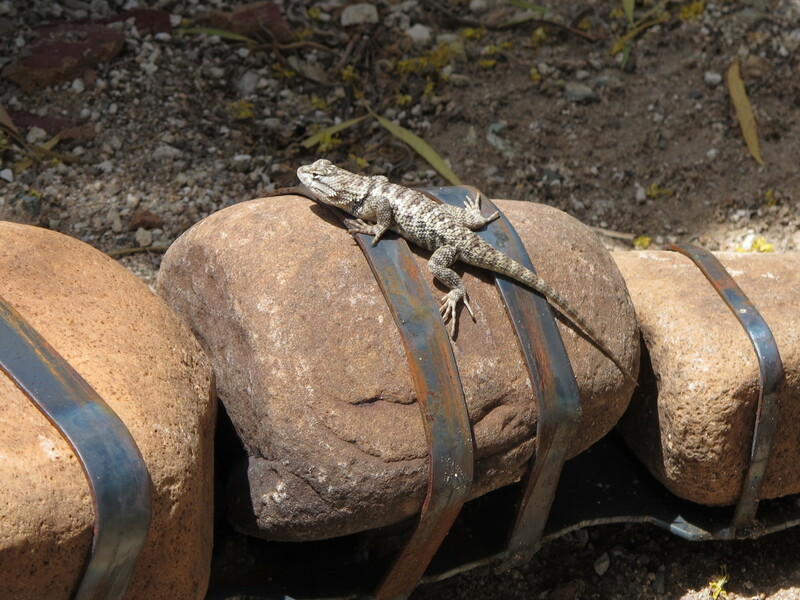 The location was at a resort in the Catalina Mountain Foothills near Tucson, Arizona. The "Take It!" came from taking a visit down memory lane as my brother had taken me back to this resort that had been in operation back in the days when I was in high school. It was owned by the Father of a friend of mine and at that time was fairly far out of town and accessible by dirt roads. Now it is under new ownership and had lots of restoration done to it to keep the best of the old and bring in the new. I must say it looked great. Now, back to the photo - lol. 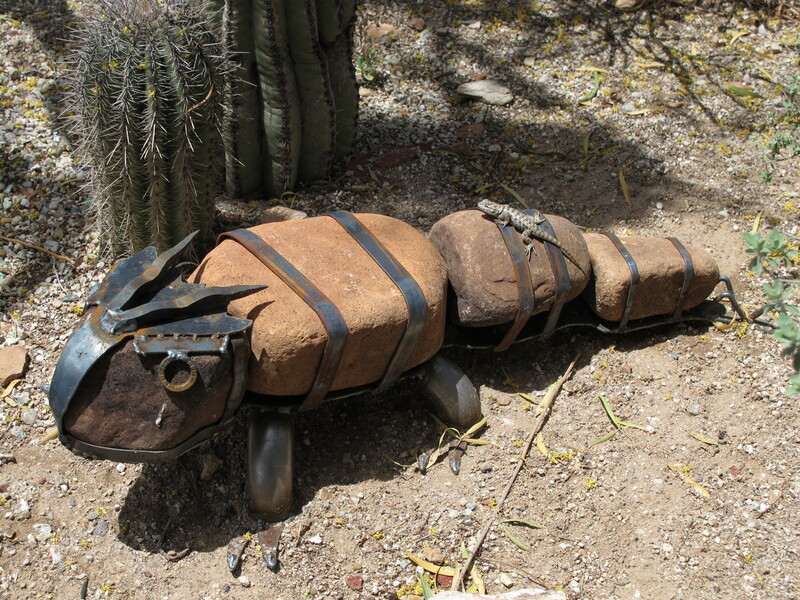 The sculpture of the lizard is located in one of the many desert landscaped gardens and caught my eye. I had never seen stones used as the body for an animal sculpture before. I took the first photo and the live lizard was discovered on the back of the figure. The chances of this happening are quite beyond my imagination. Whatever it was that brought the two of them together at that moment certainly made for a great photo. The After Take: To the few that I showed this photo series to, all were just like me, quite caught up in the wonder of it. Without saying too much, there are more bits of eye candy that came from this great visit. I look forward to our sharing it. Here is hoping such a magical moment presents itself to you, and you are lucky enough to see it. Very cool juxtaposition of life and art! Both lizards are so cute! The real lizard is adorable. Wonder if the big guys tail falls off like real lizards.